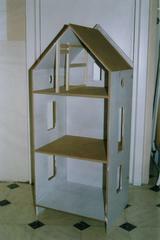 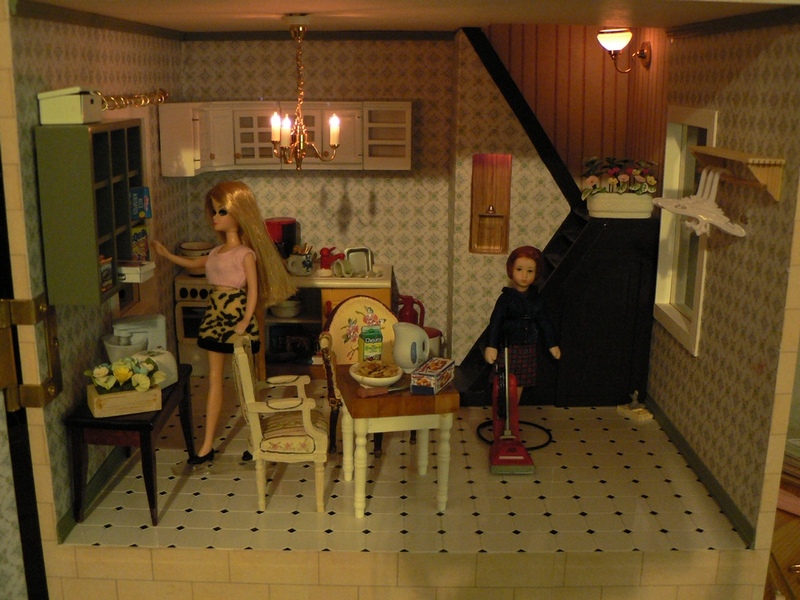 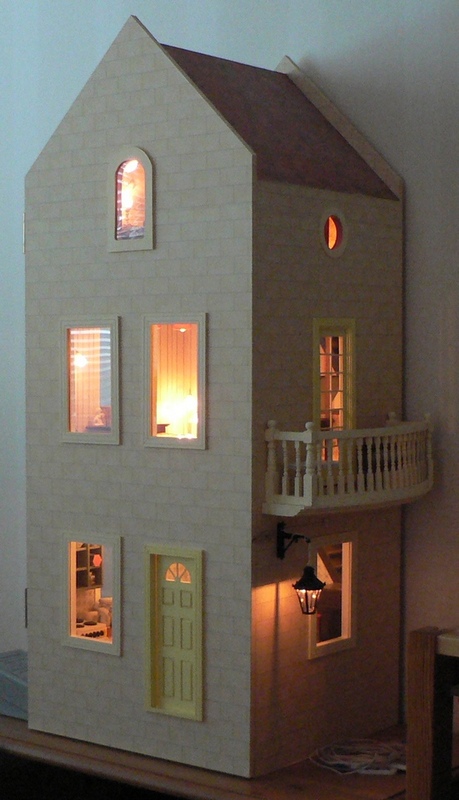 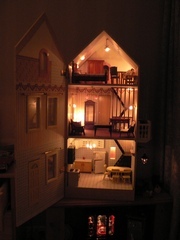 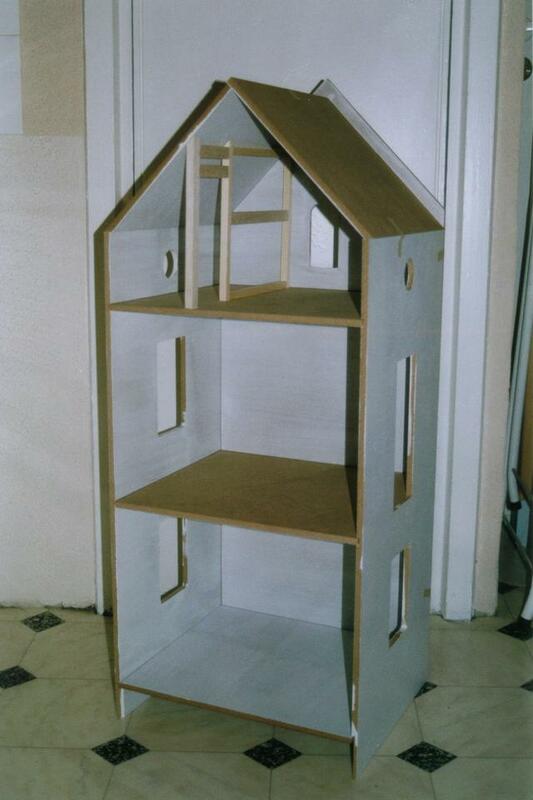 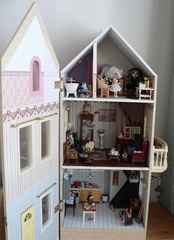 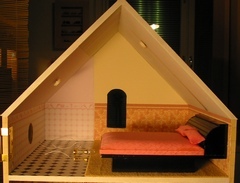 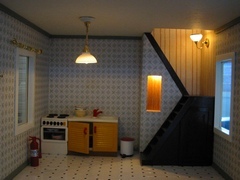 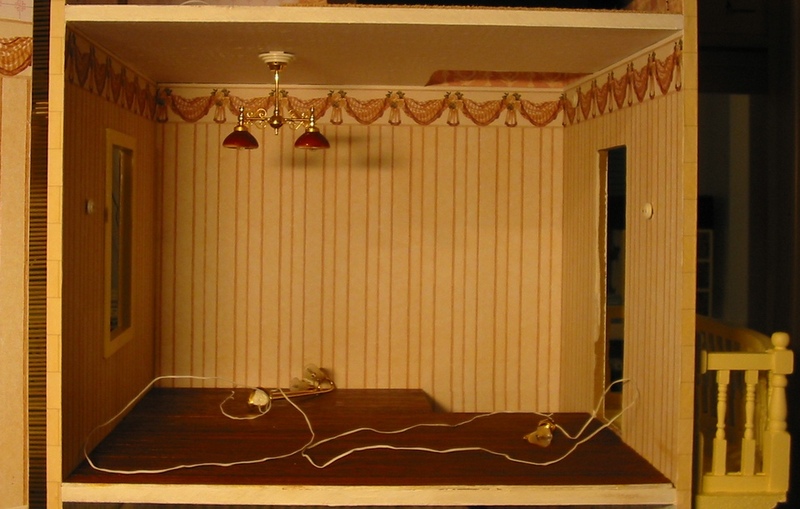 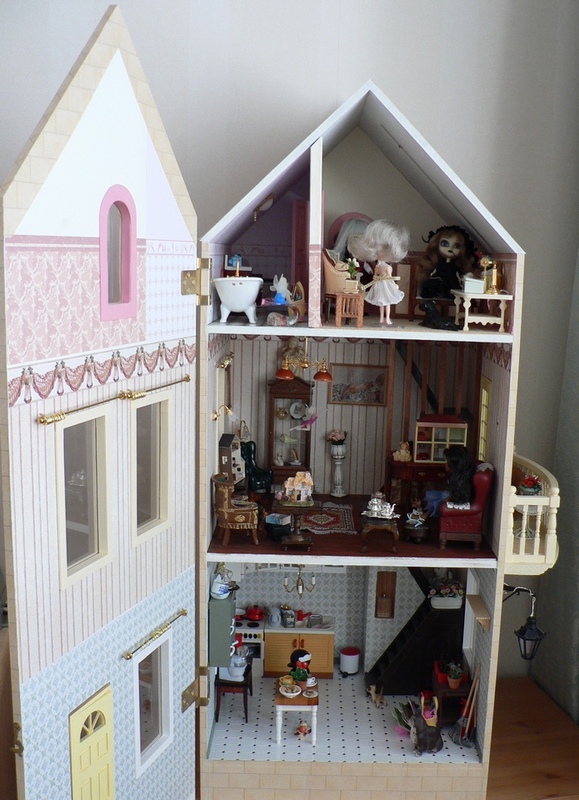 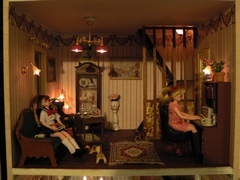 This is a dollhouse built from a kit by Anu Pellinen. It is the second full dollhouse I have built and the first one in 1/12 scale (my first house was the Georgian Mansion in 1/24 scale). 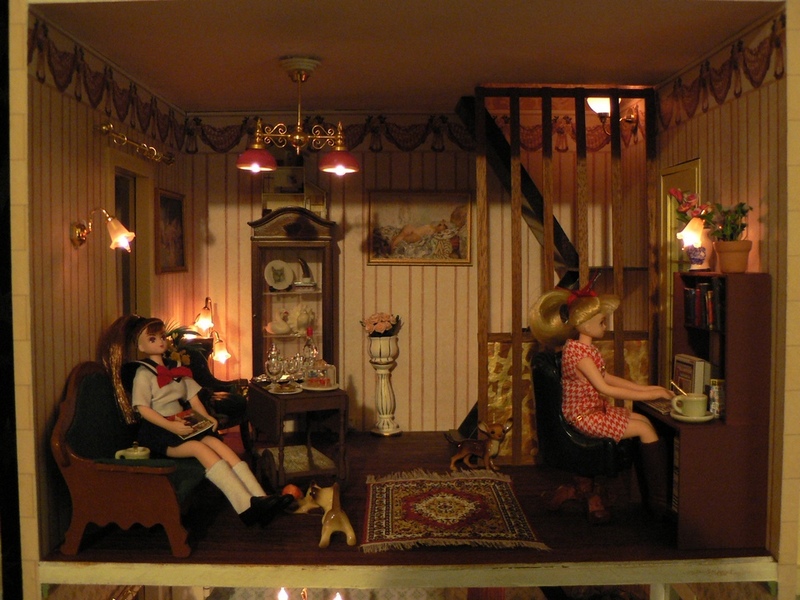 At this point, I didn't have a digital camera, so these are scans from paper photos. 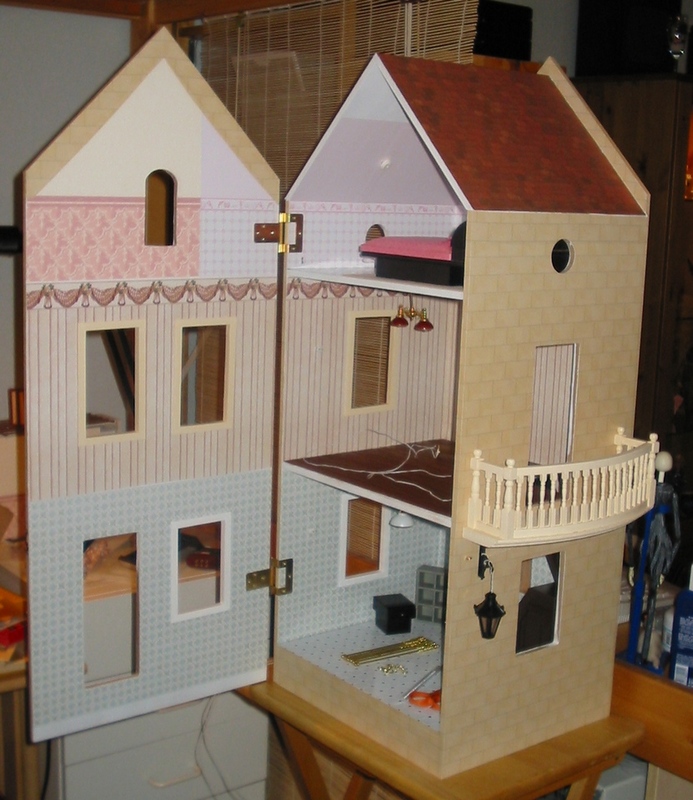 In the first photo, I think the parts were already glued together, except for the dividing wall in the top floor, which was going to be a detachable one. In the third photo, you can see the beginnings of the staircase. 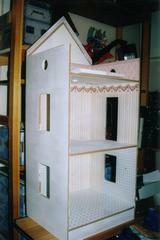 Here are some exterior shots, showing the house with roof and wall papers in place and the balcony added. 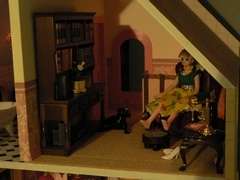 Some interior shots from the same time as the pictures above. 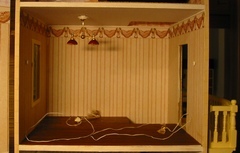 Some lights had already been installed, but not all. 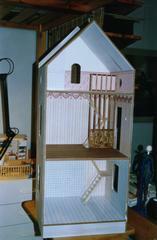 The first photo shows the staircase opening between the two upper floors. There wasn't one in the original design, so I had to make it myself. 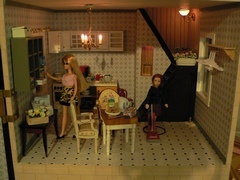 In the second photo, the kitchen is starting to look like a kitchen. 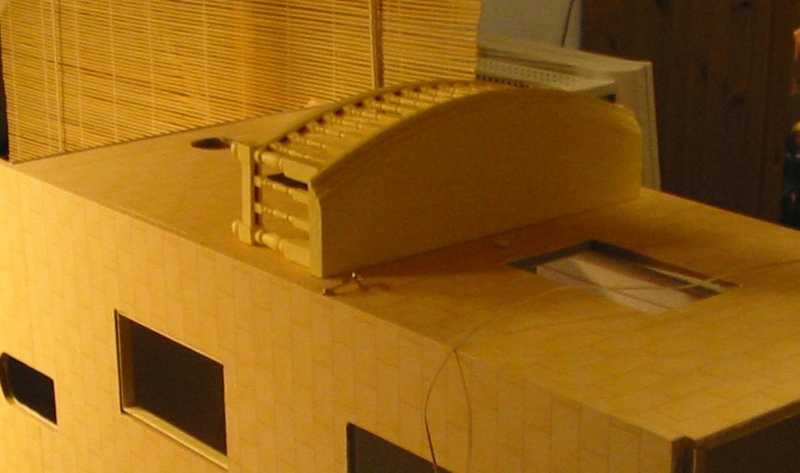 This photo shows the structure of the lower part of the stairs. 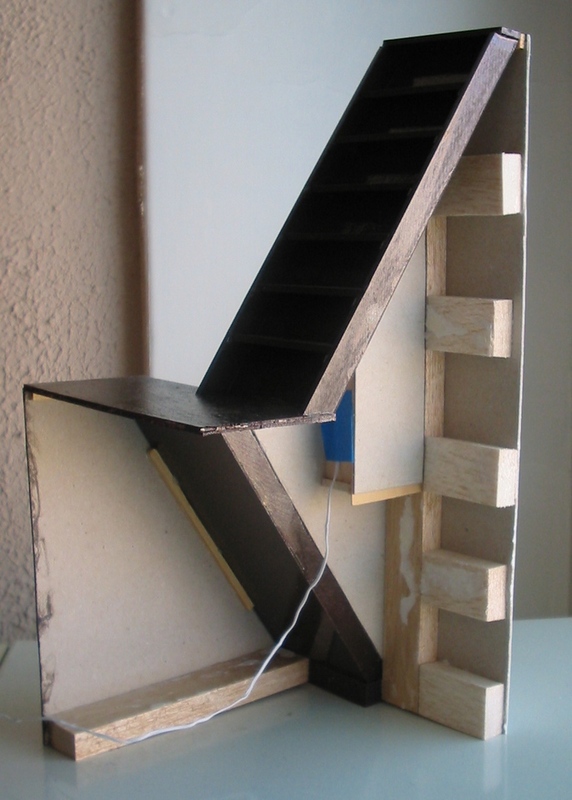 Both parts of the stairs are detachable. 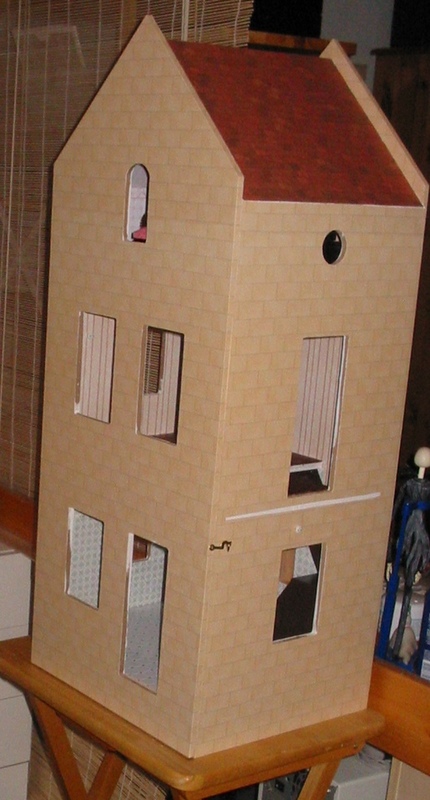 Here is the house as it was furnished right after finishing it. The first photo here shows the house as it was during the "Mad Hatter's House" story. 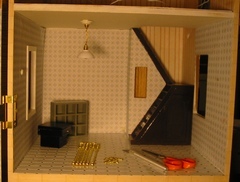 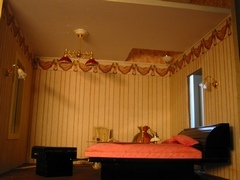 The second photo shows the house at a later date, after adding some more lights to it, and the third one is from about the same time.